How do I go about buying the right boat for me…for us? 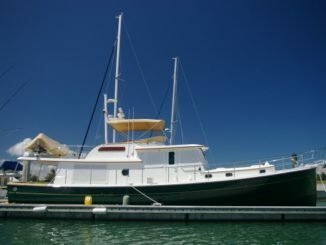 Do you want to start Living the Dream aboard your own boat? Many of you may not have any boating experience but that’s OK! 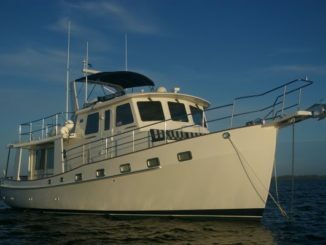 Maybe you have owned smaller, less system intensive boats and want to move up to something larger and more comfortable. We are happy that Ask Captain Chris DVDs can help you with your learning curve. NO pressure- we don’t sell boats. We encourage you to do what works for you! Start searching the web for boater’s groups, read their forums, attend boat shows that offer seminars chock full of information about the cruising lifestyle. Then drop by your local marina to watch the boaters come in to the fuel dock, usually near the waterfront restaurant. Whether you own your boat or are still trying to imagine the lifestyle, we can coach you through this exciting adventure. We offer training videos on many topics to get you started on your boating adventure even if you don’t yet have your perfect boat. We can help you decide what’s important when searching for your perfect boat- what you like and different options that you may want to add. Remember, we are NOT boat brokers but we do recommend you locate a Buyer’s Broker who will work with you to find the best boat to suit your budget and needs. Once you have decided on the style, length and deck design then we can attend your sea trial and survey and represent you as your captain. 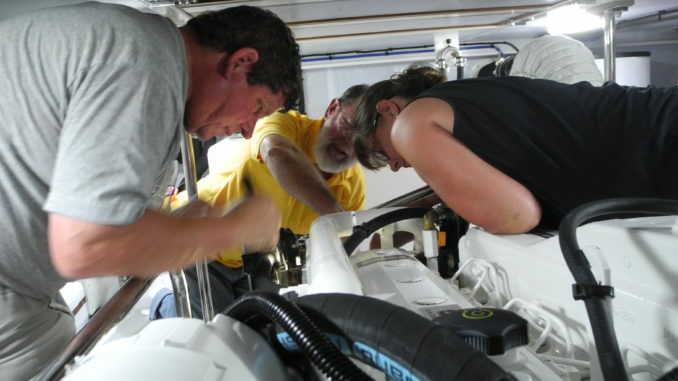 We offer advice based upon our years of training aboard different brands of boats with a variety of engine designs. Order your DVD or schedule coaching time with Captain Chris either in person, by phone, aboard your boat or a charter boat…. TODAY! 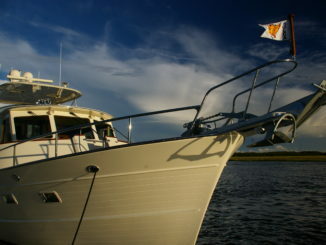 Call Captain Chris- 772-205-1859.